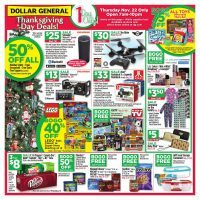 Dollar General Corp. is a U.S. chain of variety stores headquartered in Goodlettsville, Tennessee. Currently, Dollar General operates over 10,000 stores in 40 U.S. states. The stores were founded in 1939 by Cal Turner in Scottsville, Kentucky as J.L. Turner & Son, Inc. In 1968, the business changed its name to Dollar General Corporation. Dollar General offers both name brand and generic merchandise — including off-brand goods and closeouts of name-brand items — in the same store, often on the same shelf. 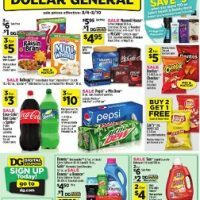 Although it has the word “dollar” in the name, Dollar General is not a dollar store. Most of its products are priced at more than $1.00. However, goods are usually sold at set price points of penny items and up to the range of 50 to 60 dollars, not counting phone cards and loadable store gift cards. Dollar General often serves communities that are too small for Wal-Marts (although many locations are in relatively close driving distance to a Wal-Mart store). It competes in the dollar store format with national chains Family Dollar and Dollar Tree, regional chains such as Fred’s in the southeast, and numerous independently owned stores. 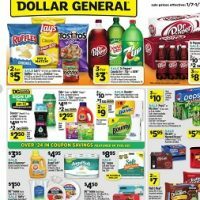 Since the turn of the century, Dollar General has experimented with stores that carry a greater selection of grocery items. These stores (similar to the Wal-Mart Supercenter, but much smaller) operate under the name “Dollar General Market”. 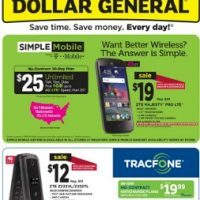 If you are interested in knowing more about the company, its statements, products, and special offers or discounts, please visit www.dollargeneral.com. 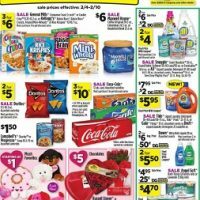 On iWeeklyAds you will find the latest Dollar General weekly ad and weekly circular, online.